The opening lines are here. The synopsis is here, or scroll down. My name is Paul Waters. I’m originally from Belfast. I’ve done various things – taxi-driving, journalism, cooking, broadcasting, teaching, aid delivery, podcasting – in various places – England, Romania, Wales, the USA, Germany, Poland, South Africa and both ends of Ireland. So now I’m writing. The story is called Blackwatertown. Blackwatertown by Paul Waters is a thriller set on the Irish border in the 1950s. The intertwining of fact and fiction is based partly on a murky episode of Ireland’s past, and partly on things discovered about my family’s own secret history. It is the story of a reluctant and conflicted policeman called John “Jolly” Macken, who is drawn into a conspiracy, accidentally starts a war (the 1950s IRA border campaign) and inadvertently becomes a hero. It is also the story of how complacency in a time of peace can quickly be shattered, if the underlying tensions in society are not addressed. Jolly Macken begins with a personal crisis because of his leading role in a police action he knows is legally correct, but feels is morally wrong. As a police officer, an RUC man, he is isolated from his fellow Irish Catholics because he serves the Crown. As a Catholic (in name anyway), he is by definition distrusted by his Protestant fellow officers and the State. 1. Macken is punished after a farcical episode of violence at the beginning, by being exiled to Blackwatertown village, a sleepy Co. Armagh backwater. He is sent there to replace the previous token Catholic officer in the district who died mysteriously. Was it an accident or murder? Were the killers fellow police officers? Will Macken be next? 2. Macken meets an unusually bewitching local girl whose bravado masks a certain innocence. However, is her innocence feigned? Will their romance endure? Is she an IRA spy or is she hiding a much darker secret? 3. Macken is caught up in a police conspiracy and cover-up that has unexpected consequences. Their fakery is so convincing that the conspirators are lauded as heroes and accidentally start a war. Macken becomes part of a web of political and personal intrigue, watching his back as genuine and imaginary sides go to war for real. An ambiguous fourth strand weaves in and out of the action. It retains its mystery until near the end, when its true purpose and horrible identity is revealed. As the tension and stakes mount higher, Macken is forced to choose sides when it comes to war and to his personal life. He embarks on a journey through a broken and twisted world to see if it is possible to salvage anything that is good, worthwhile and beautiful. Blackwatertown conveys a sense of place in the tradition of Ulster writer Maurice Leitch, and is threaded through with flashes of humour reminiscent of Andrea Camilleri’s Sicilian Inspector Montalbano mysteries. The story transcends time and place, but also parallels the current dangerous political situation in Northern Ireland today, and shows how a seemingly secure peace can be squandered. Thank you Paul for the very complementary comment you posted in my blog. After reading a bit of yours, I feel compelled to do the same. I sincerely enjoy the tone and ease of conversational voice you employ here. The cultural windows blogging opens for me is one of the reasons I love it. Your site does just that. Paul, I notice you split apart journalism and broadcasting in your CV. Made me laugh! Is ours a lost cause?! @ The_Conservative_Lie – Thanks very much. I agree with your point about the opening of new cultural windows. @ Dominic Laurie – No slur intended. Though, especially in recent years, I noticed a divergence between the broadcasting I was doing and what I used to think of as journalism anyway. Not always a bad thing. In fact, it can be great fun. Ok, this sounds really interesting. I’ll keep checking out this blog and I’ll try to find out more about Blackwatertown. This sounds really intriguing, so glad you commented on my own blog or I would have never found you. Your book sounds interesting. Has it been published yet? I hope to read it sometime. This sounds great! And I could also see it as being a theatrical thriller. Keep that ambition going and something will give. I’ve been allowed to read it and enjoyed it very much. No doubt, publishers will make comment and more work may be needed before publication, but it deserves success. Still looking for well written ‘shorts’ in the meantime- that’s how my namesake started to get noticed! Sorry to write that here I can’t figure out your email adress. I’m an Art Director and a found your sitting elephant picture and I would love to use it for a project and I wanted to know if it would be possible. You can. I’m flattered to be asked. Unless your project is about the most rubbish photographs on the internet. And even then I don’t mind. PAUL! You have a BOOK!!!!! When can I buy a copy and advertise you on my blog, so all 5 readers will buy a copy too. When mine is published, I’ll send you a copy too. But since I am still only 10 pages into it, it may be a while. CHEERS!!!! That seems fair, I’ll read yours and you read mine. The book is written. I’m working on the getting published part. As to the content, I can now exclusively reveal, for the first time ever, to you, that there are no remarkable tattoos in Blackwatertown. Nor is there a campaigning journalist. As for wildness, it has its moments. But they take up fewer pages than that hefty brick-sized Girl With The Dragon Tattoo. Oh.My.Goodness. You have given me the scoop on (or not) the existence of tattoos in BWT. SO honored. LOL, w/o those wild moments, GWDT might be Nicolas Sparks paper-back sized. And a full PINT to you! Looks interesting round here. Am sorry to sneak peek and run, but net time is running out fast. Will follow your tracks back again. Novel intrigues. paul. you can’t imagine how thin skinned i am. you have been very mean to me but i will mention your book on the air if you give me a free trip to ireland and a ride in your vehcile. come to think of it, i take that back. who would want to go to country that is about to collapse? this time you won’t be able to blame it on the brits. Well, it was fairly complimentary in some ways. I can give you one out of two – the free car ride rather than the plane ride – if you make it over. As for the collapse – yeah, guess you’re right. Can’t blame it on Britain. Though seeing as they’re blaming it on you lot, can we do that too? Hi, Paul, thank you for visiting me and leaving a comment. Nice to meet you! Very nice. I just stumbled upon your blog and wanted to say that I’ve truly enjoyed surfing around your blog posts. In any case I will be subscribing on your rss feed and I hope you keep writing! The Breez i was talking about wouldn’t miss !! Interesting story. Sounds a lot more complicated than what I can manage. So is it not published yet? Based on the summary, I’m sure it will be. This is a book I’d read. I hope you get it published! That’s good to hear. I’ll keep you posted. Ok I read all of this and the wee little bit about yourself. Where do you live now? Good job on your synopsis of Blackwater. I’m living in southern England at the moment, in a village surrounded by fields and woods, with great neighbours and two pubs – one of which is excellent. It’s a horse’s head. I like to think it’s the one from the Godfather. Thanks for your verdict on the synopsis. Writing is fine. Blurbs are fine. But doing synopses doesn’t appeal to me. Sounds like a lovely place to live. Any pics? I know what you mean about writing synopsis. I feel the same way as it is part of the marketing process which is my weak point. I only understood some years ago that I was any good at the writing thing….stories and some poetry. But when it comes to the business side of writing I am not good at that. Thanks for sharing about your book. You must carry on with your writing. I’m sure you have a huge readers’ base already! Paul, mail sent to paulwaters99 @ hotmail.com bounces. What is your current email address? Thats great news about the forthcoming book. How exciting, the best of good luck with it. I am in the throes of finalizing a novel so will keep close tabs on your progress!! Your writing is great and gives food for thought. I really hope that you simply publish. Great blog, I just created a name, now I will start.. thanks for the advice. Do you mind if I quote a couple of your posts as long as I provide credit and sources back to your webpage? My blog is in the very same niche as yours and my users would truly benefit from a lot of the information you present here. Please let me know if this ok with you. Many thanks! I’m glad I’ve finally found my niche – Thai melon carving. It fits perfectly with the themes of my book – apart from the melons and the Thai parts. Carving maybe a little. thanks for visiting my blog and leaving a comment…will look out for your book, best of luck with that! Thanks for that message. I grew up in Plymouth, MA not too far from Boston and watched the Boston Marathon on TV every year. Actually, Id be flipping back and forth between the marathon and Red Sox game because they always play at home that weekend. A lot of history in that race too which reminds me of the recent RW article on Bill Rodgers. About | Blackwatertown has been stored as a favorite :), I really like your site! Sounds well written. Keep doing what you are doing. I’m definitely interested. I just do not think youd understand any really big words. Ahgeddawaywidya. See? I understand that one. “Everything should be made as simple as possible, but not one bit simpler.”Albert Einstein. About | Blackwatertown with love! All powers of government, legislative, executive and judicial, derive, under God, from the people, whose right it is to designate the rulers of the State and, in final appeal, to decide all questions of national policy, according to the requirements of the common good. How in the name of God do the likes of Gormely, or Harney even think that they act for the people? I agree fully with Damo, let the people force the repeal of all the stupid laws that these gobshittes have rushed through before they are sent to oblivion at the next election. If the Irish just stopped reading and looking at censored media, and waken up to reality, then we could return all power to the people, Its rightful place. Blackwatertown looks good. I’m looking forward to reading it in full. Enjoyed reading this, very good stuff. “It is well to remember that the entire universe, with one trifling exception, is composed of others.” John Andrew Holmes. Thank you for this great read!! I definitely enjoyed it. I have you bookmarked to check out new stuff you post. I am just a beginner at blogging but I am certainly enjoying your blog. You really come up with some good ideas. 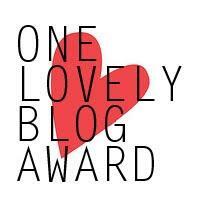 Hello there, you’ve been nominated for the One Lovely Blog Award. By me. Thanks Duck for this great honour. I will act on it shortly. 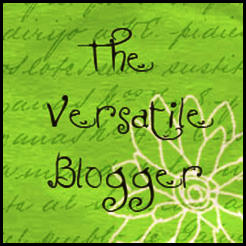 Have you given any consideration at all to having a version of your blog in French? I know a small number of translaters here who would certainly help you do it for no cost, if you want to get in touch with me personally. Seems like a rattling good read. I like it. Hello. I like your writing so much! Hi. I enjoyed reading your excerpt. Looking forward to more. Hey sweetheart – from a female reader – keep up the awesome posts. I love this. Clever work. Hi. I just want to say that I enjoyed reading about your book. It seems to be a very interesting story! I once met a former IRA man and some other guys talking about the time back then. I think it definetely sounds like a story worth reading! Hi! I want to give you a massive thumbs up for this. It’s really a disgrace you do not have any donate button! I’d definitely contribute if it meant I could read the full book. Browsing your blog during my lunch break. Enjoying it. “To hold a pen is to be at war.” – Francois Marie Arouet Voltaire. It’s hard to find excellent writing like yours these days. I honestly appreciate individuals like you! Hi there, I enjoyed reading this. Hey! This is kinda interesting. I look forward to reading it one day. I really like what you’ve come up with. Keep up the great work. I’m happy to read this.